A new trend which is debated and discussed intensely and extensively in the media is the increasing influx of Artificial Intelligence (AI) and robots in to the work-place. Many tasks which require a certain amount of human intelligence and skill can now be done by these “intelligent” machines. If this trend continues, along with rapid advancement in AI, what is the position of the human worker? Will she be progressively replaced by machine intelligence? How can we, humans working in offices and factories, cope with this new trend? These are the main questions explored in some detail in two brilliant articles in Harvard Business Review, with the cover-page tittle “Meet your New Employee: How to Manage the Man-machine-Interaction”. This essay is a review of these articles in the light of a deeper perspective. The wider evolutionary perspective on the possibility of super intelligent machines was discussed in some detail in an earlier article in this blog. (“The next step in Evolution: Superman or a Super machine”) This article examines the man-machine interaction in the corporate context. In a thoughtful interview in Harvard Business Review, Eric Brynjolfsson and Andrew MacAfee, faculty members at MIT Sloan School of Management, state what lies ahead: “Nothing is sacrosanct: Machine are beginning to make inroads in areas involving creativity, dexterity and emotional perceptiveness.” According to Brynjolfsson and MacAfee, this will be the new or second machine age. The first one is the Industrial Revolution when steam engines replaced muscle power. In the second machine age, AI and Robots one racing ahead to replace brain-power. Here are some interesting and also alarming perspectives from the researchers of MIT-Sloan-School of Management. There are two or perhaps there stages in the second machine. In the first stage humans teach machines step by step, which is the essence of software programing. In the second stage machines learn on their own, developing knowledge and skill “that we can’t even explain.” There may be a third stage when machines understand emotions and interpersonal reactions. In MIT Media Lab there are researchers working on robots that can pick up on emotions, in some cases analysing facial expression better than you and I can. On the positive side, machine age and the emerging digital technologies will be able to produce more or better education, health-care, entertainment, goods and services for more and more people. On the negative side, it will create a big skill-divide. Those who have the necessary skills to fit it with the new machine age or which the machines can’t do, will prosper and others who don’t have these skill or with skills which can be replaced by machines, will be left behind and find it very difficult to cope with the age. High end creativity like great new business ideas, scientific breakthroughs, novels that grip you. Qualities of the heart like nurturing, motivating, leading. Dexterity, mobility; its extraordinarily hard for robot to do movements like walking across a crowded restaurant; take the dishes back to the kitchen. Unless we find as many tasks to give to humans as we find to take away from them all the social and psychologically ills of joblessness will grow. What if we were to reframe the situation? Rather than asking the traditional question – what tasks currently performed by humans will soon be done by machines – we ask a new one; what new feats humans may achieve if they have better thinking machines to assist them. What we need is an augmentation strategy, which means starting with what humans can do today and figuring out how it can be augmented by machines. In this approach knowledge workers will come to see smart machines as partners and collaborators in creative problem – solving. The traditional approach which tries to replace humans with machines is based on the principle of cost-efficiency. But the future depends not on cost-reduction or efficiency or even productivity but on creativity and innovation, which can come only from humans and not from machines. How to implement this augmentation strategy? For the individual employee, Thomas Davenport and Julia Kirby suggest the following steps. Step up: head for the higher intellectual ground like big-picture thinking or higher levels of abstraction. Step aside: develop other kinds of intelligence like “interpersonal” awareness, empathy. Step-in: learn how to correct improve or modify the work of computers. Step narrowly: specialise in a domain which is either difficult or not economical to computerize. Step forward: develop or acquire the knowledge and skill in the next generation of AI system. The last three steps belong to the technical domain, which are undoubtedly helpful to cope with the new machine age. However, lasting remedy lies in developing facilities which cannot be substituted by the machine in the near future. The first two domains highlighted by Brynjolfsson and MacAfee and also the first two steps suggested by Davenport and Julia indicate the faculties to be focused not only to remain ahead but also to work in attunement with the machine. In a deeper and brooder psychological perspectival, we have to develop the intuition or imagination in the following domains. In the mental domain, holistic insight which can comprehend the whole and the parts in their interconnected totality and know the immediate and long-term consequences of our decisions for the part and the whole. In the aesthetic domain, sensitivity to the beautiful and the harmonious in every activity of our work and life. At the emotional level, purified emotions of the deeper heart which brings empathy, caring, kindness and harmonious and loving relationship with others. At the ethical level, the ability to build human wellbeing at all levels – material, psychological, moral. In the spiritual domain, a deep insight into the hidden and invisible patterns and forces of life, as it plunges further and deeper, a living perception of the underlying unity and independence of all life, diving still deeper, into the indivisible oneness of consciousness. As we progress in these higher levels of awareness and understanding we will know how to connect thing, ideas, people, processes and machine in an all-inclusive, mutually supportive and complementing harmony, which no AI, present or future can do. At the collective dimension, awakening and development of these higher faculties beyond the logical and machine intelligence have to become part of education and training at the national as well organizational strategies. The students of AI in educational institutions have to be sensitised to the human dimensions of it in such a way they have the broadness of vision, insights and compassion to make the man-machine interaction a creative whole, working together in a complementing harmony. Harvard Business Review June, 2015, p. 67-72. Hi, Neat post. There is an issue together with your site in web explorer, may test this? IE still is the marketplace leader and a huge part of other folks will omit your fantastic writing because of this problem. I have been surfing online more than 3 hours these days, but I by no means found any attention-grabbing article like yours. It’s lovely price sufficient for me. Personally, if all site owners and bloggers made just right content material as you probably did, the net will probably be a lot more useful than ever before. Valuable info. Fortunate me I found your website by accident, and I’m stunned why this twist of fate didn’t took place earlier! I bookmarked it. Woah! I’m really enjoying the template/theme of this site. It’s simple, yet effective. A lot of times it’s very hard to get that “perfect balance” between superb usability and appearance. I must say you have done a superb job with this. Additionally, the blog loads very quick for me on Safari. Excellent Blog! Heya i’m for the primary time here. I found this board and I in finding It really useful & it helped me out much. I hope to provide one thing again and aid others like you aided me. An intriguing discussion is definitely worth comment. I do think that you should publish more about this subject matter, it may not be a taboo subject but generally folks don’t discuss these topics. To the next! Cheers!! 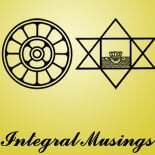 This entry was posted on May 26, 2017 by integralmusings in Society & Culture.